Seasonal Flu? Asthma? Get More Vitamin D! Vitamin D is important for everyone, but it is especially helpful for preventing the seasonal flu, and people with asthma. My family takes vitamin D to prevent the flu and cold viruses, and for our overall health. We live in sunny Southern California, and yes, we still need vitamin D supplements. I had our sons’ levels tested and they were deficient. They spend a lot of time outdoors too, and without sunscreen at times. So imagine if you live in climates that don’t get as much sunshine? What do you think your levels are? Vitamin D levels in your blood fall to their lowest point during flu seasons. The reason is when the flu season hits us…during the sunless winter months. Unable to be protected by the body’s own antibiotics (antimicrobial peptides) that are released by vitamin D, a person with a low vitamin D blood level is more vulnerable to contracting colds, influenza, and other respiratory infections. So take preventative measures now. Not curative steps later when you have the virus. Start building up your vitamin D levels in the fall, before the seasonal flu is upon us. Yikes! This alone is enough information to convince me that vaccines may do some areas of our population more harm than good. Especially kids with immune system problems, which include a lot of children with autism and ADHD. A Japanese study from last year showed that a group of children taking vitamin D3 was 58 percent less likely to catch influenza A. That’s a higher effectiveness than any flu vaccine can claim, and doesn’t come with a barrage of potentially devastating side effects! 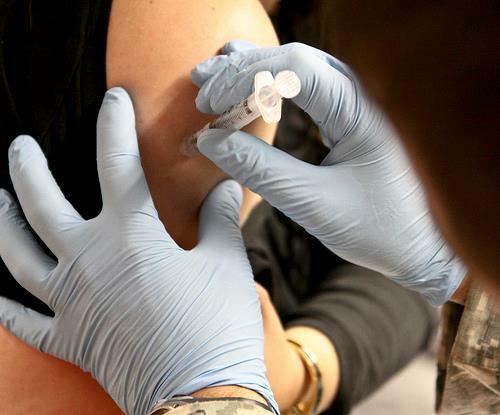 There people at a higher risk of complications if they contract the flu virus, such those that have asthma, and doctors recommend the flu vaccine. But did you know that not getting enough vitamin D may make asthma worse? According to a new study, researchers found that low vitamin D levels were associated with worse lung function compared to higher vitamin D levels in people with asthma. In addition, the study showed that people with low vitamin D levels didn’t respond as well to asthma treatments compared to people with higher vitamin D levels. 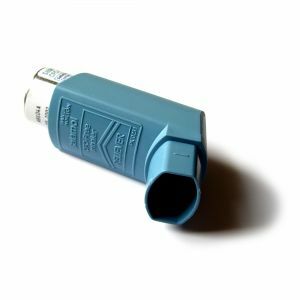 The study findings suggest that vitamin D levels influence a number of important features of asthma, including lung function, bronchospasm, and therapeutic response to steroids. In the study, published in American Journal of Respiratory and Critical Care Medicine, researchers compared vitamin D levels and asthma severity in 54 people with asthma. The results showed that people with higher vitamin D levels had better lung function measures than people with lower vitamin D levels. In particular, people with low vitamin D performed worse on tests of lung function and airway hyper-responsiveness, two hallmarks of asthma. Researchers say vitamin D levels were directly related to the participants’ score on the breathing tests: the lower the vitamin D levels, the worse their performance. Vitamin D is important for everyone, especially if you’re pregnant or planning to become pregnant. An article published May 1, 2010 in the American Academy of Pediatrics News recommends pregnant women take 4,000 IUs of vitamin D daily to fight infection and disease, to maintain good health, and to deliver healthier, stronger babies. But even this seemingly large amount may be seriously inadequate in many women. 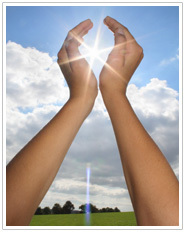 Some may need more than 10,000 units per day and the only way to know for sure is to have your vitamin D level tested. Since we already know that most children and teenagers are vitamin D-deficient, I urge you to get your child’s vitamin D levels tested, and if found deficient, increase their daily vitamin D supplement between 2,000 – 5,000 IUs/day. Do this, and they’ll be far less likely to catch any cold or flu this year.